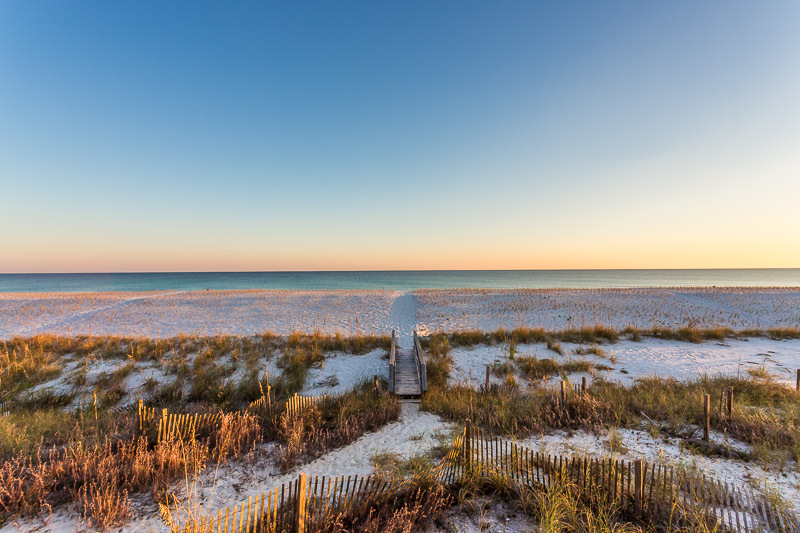 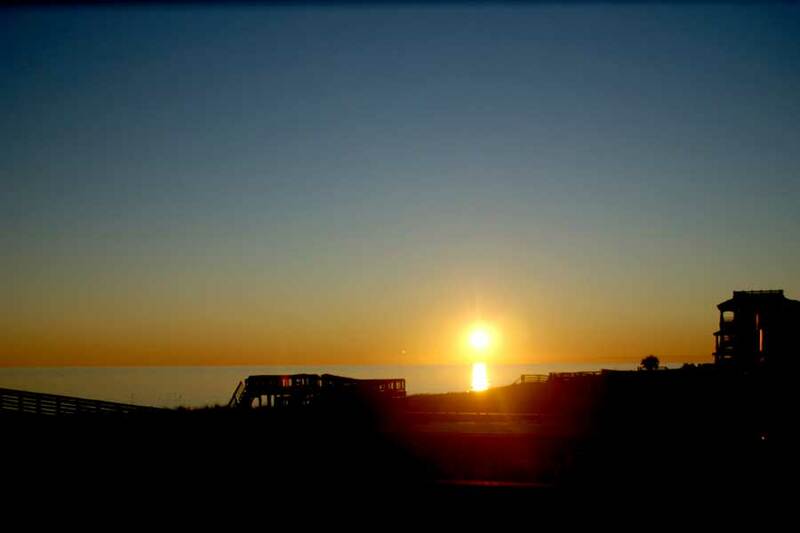 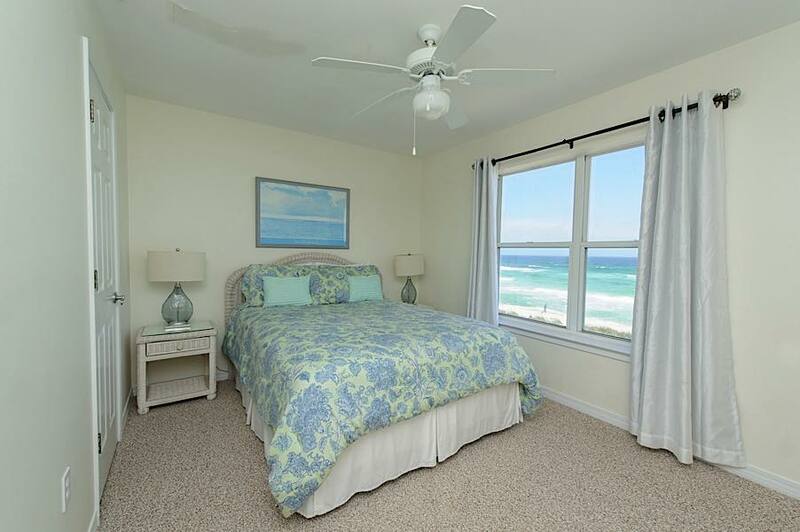 The LARGEST and BEST Vacation Rental Home on Navarre Beach! 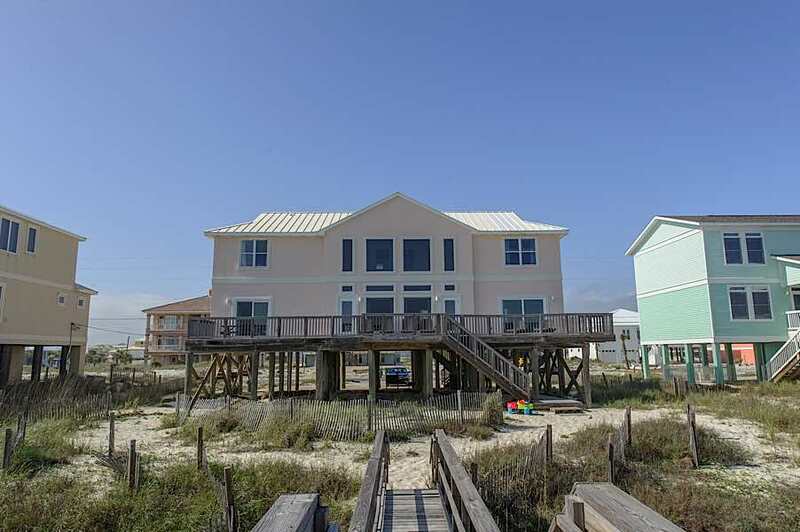 This breathtaking beach front mansion boasts seven bedrooms and is perfect for those once in a lifetime vacations. 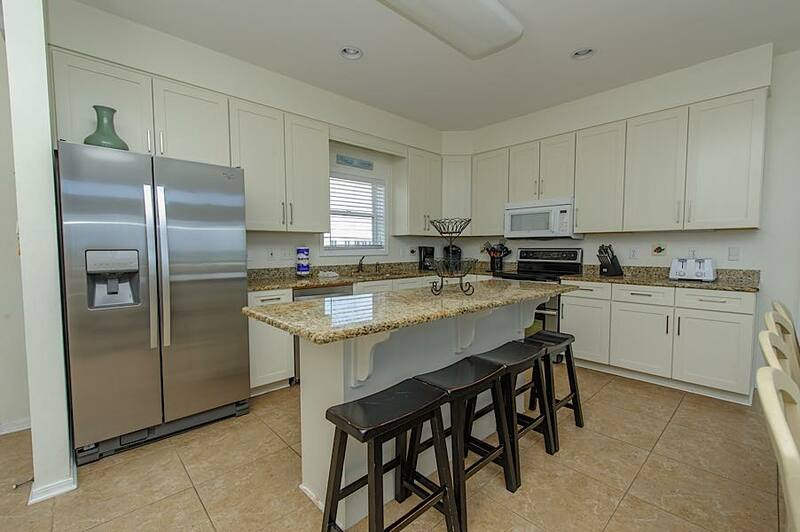 Perfect for multiple families, this home's open and spacious floor plan will have you visiting year after year. 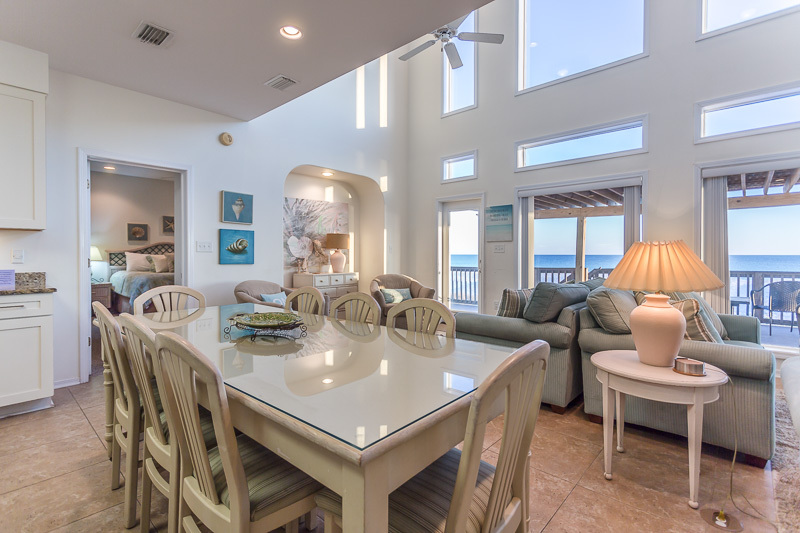 The high ceilings and windows offer unbelievable views of the Gulf of Mexico. 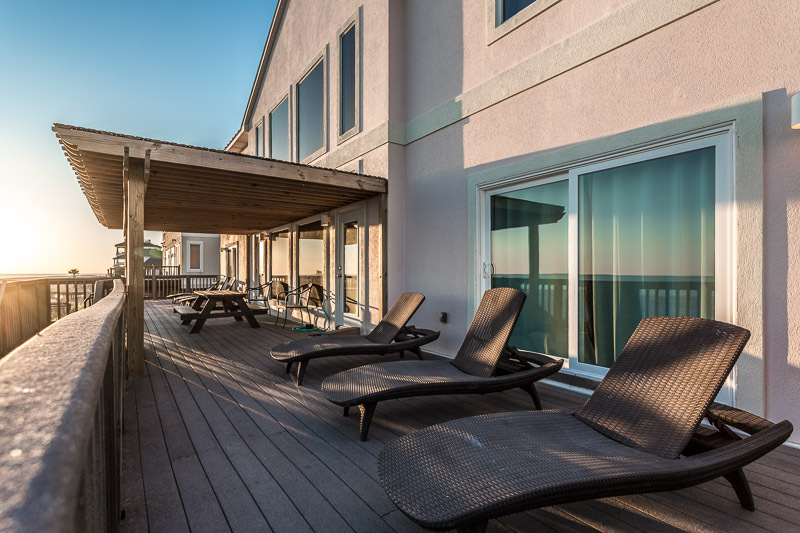 Romantic and fabulous sunrises/sunsets from the large balcony on the first floor is the perfect hang out for the entire family. 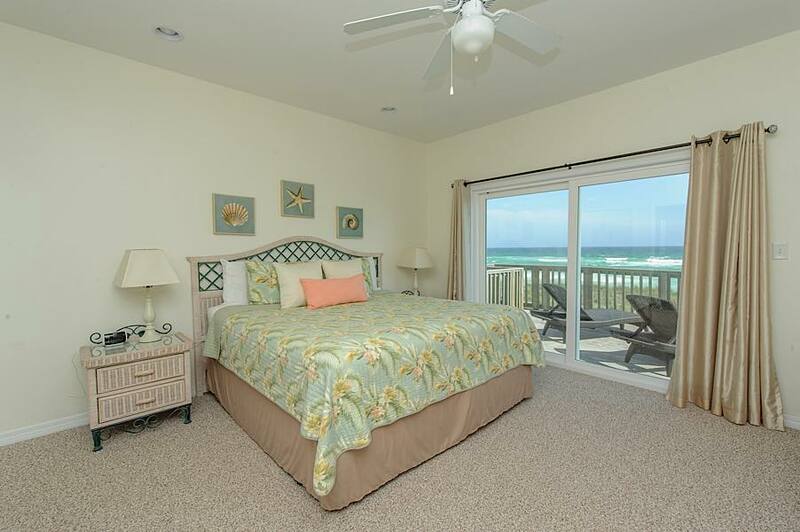 With four of the seven bedrooms being gulf front, almost EVERY ROOM has a fantastic ocean view. 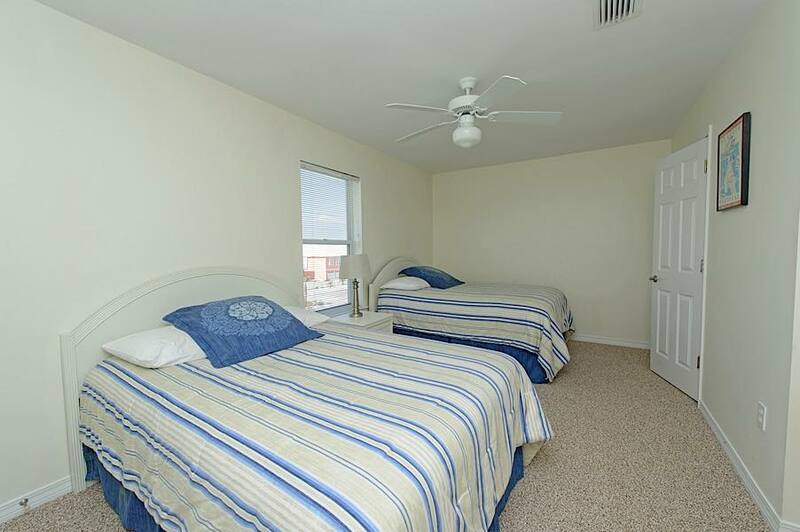 Enjoy the 3 different living areas the home has with 2 on the main floor and the kids TV room ideally located upstairs. 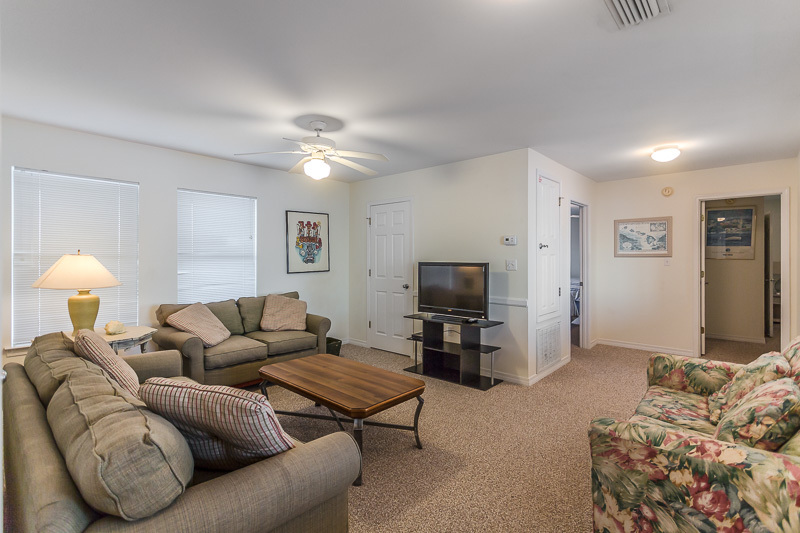 On the 1st floor, our family will feel right at home with the open living area which boasts a large flat screen, new sofa and love seat, DVD player, and stereo. 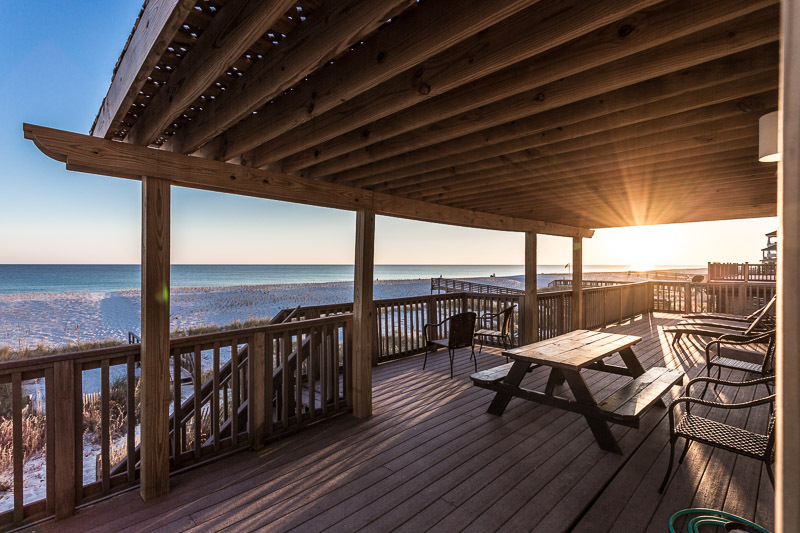 Right off the fully stocked kitchen, enjoy memorable family dinners with seating for 8 and space for an additional 4 around the bar. 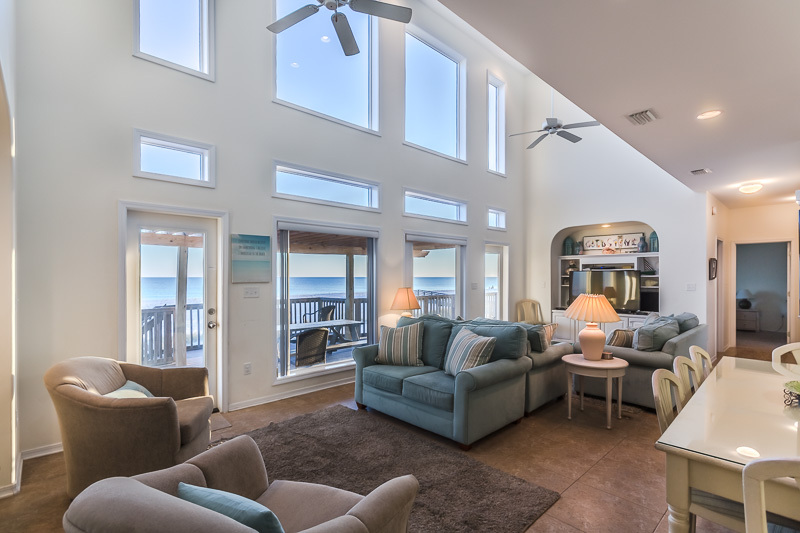 For those not watching TV, the conversation area with 2 chairs and a loveseat is the perfect spot to reconnect with family members or friends. 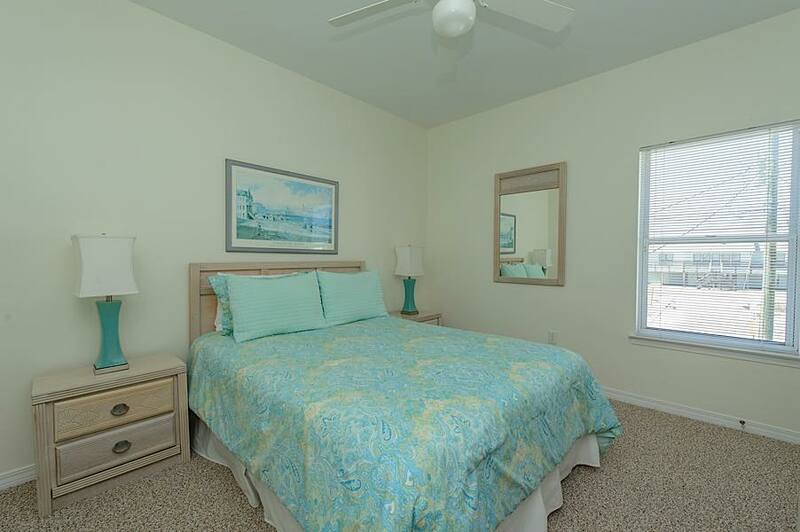 Enjoy the beautiful master bedroom with a king bed, flat screen, and private bath with shower/tub combination. 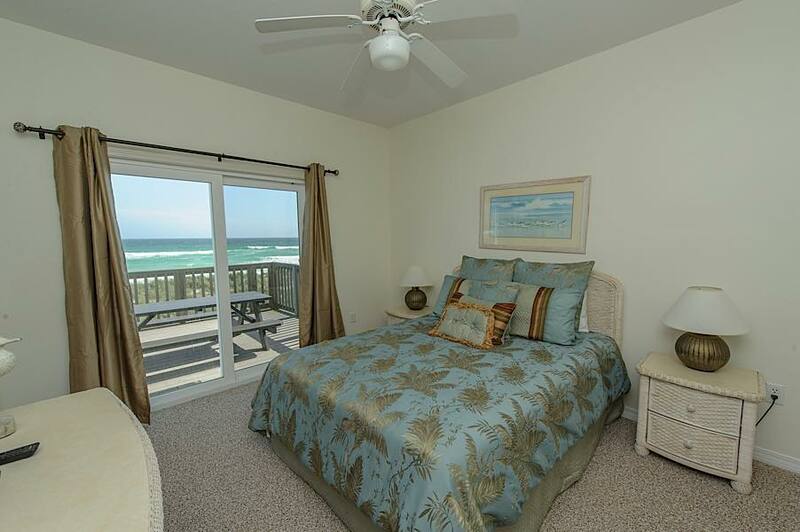 Guests will have easy access to the balcony through the sliding doors in the bedroom. 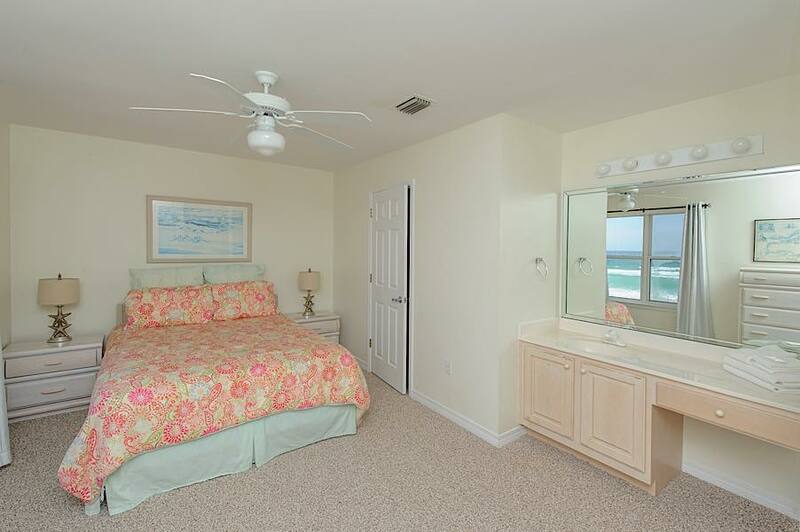 Also on the main floor is a lovely gulf front bedroom with queen bed, flat screen, and bathroom with shower/tub combo. 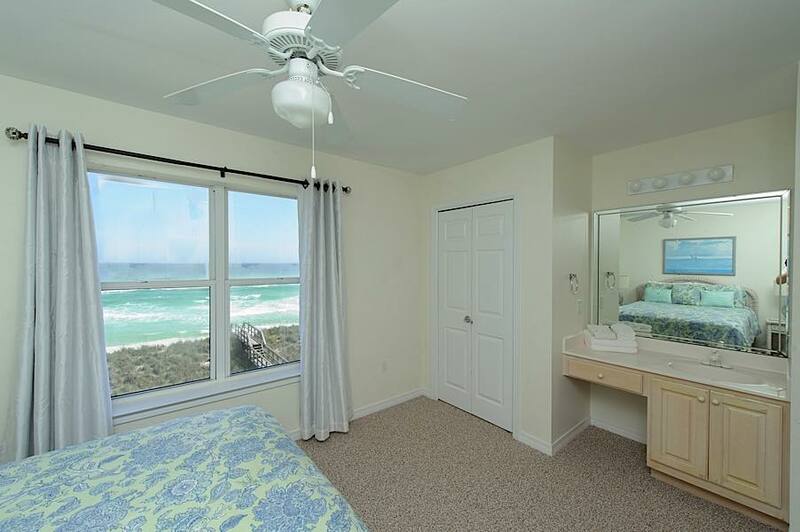 This bedroom also has sliding doors opening onto the balcony. 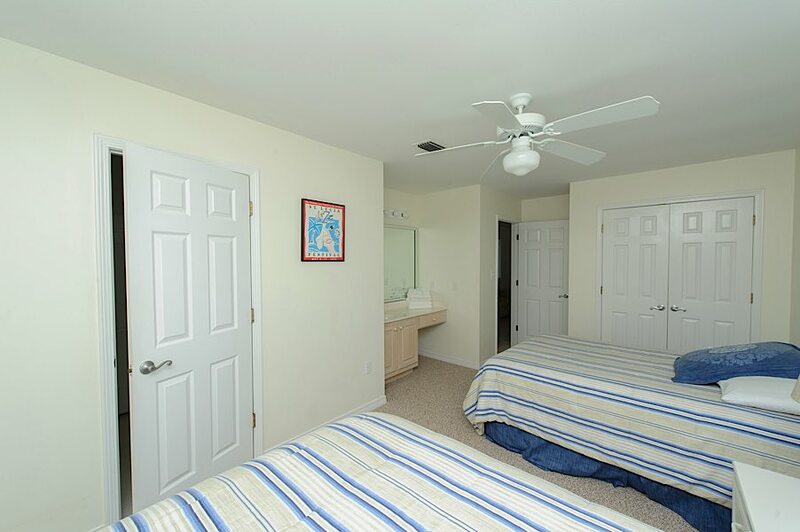 The third bedroom on the first floor has a queen bed, TV, and bathroom with shower only. 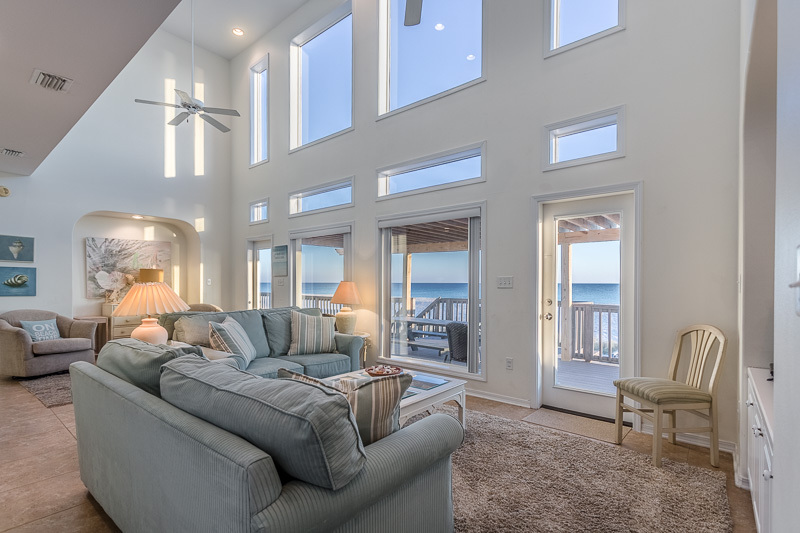 The 2nd floor featyres a central place upstairs for the kids to play and watch TV, making this the perfect vacation home. 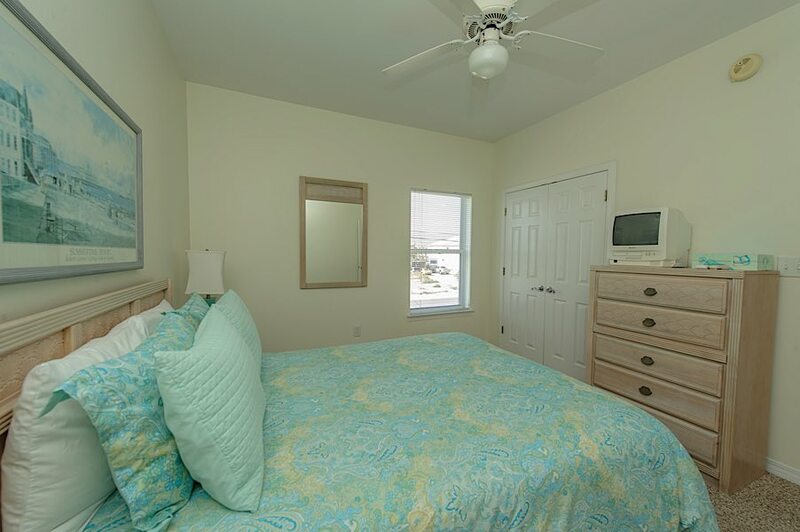 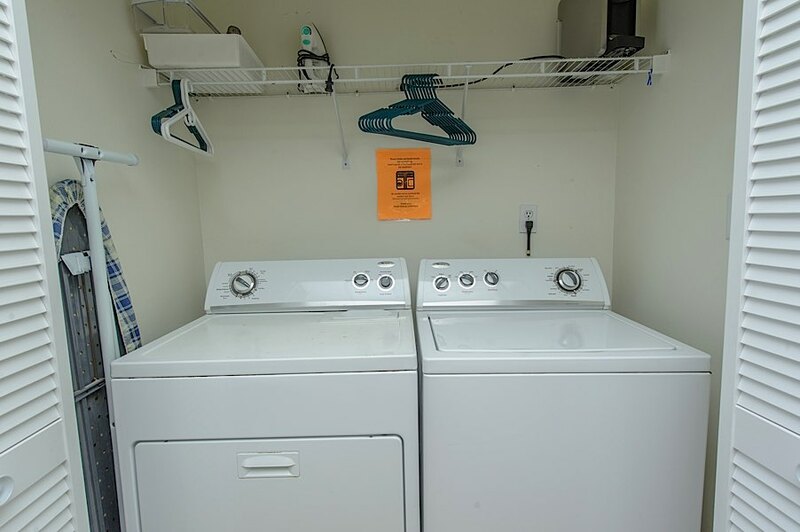 This spacious room has a flat screen and is located between the 4 bedrooms upstairs. 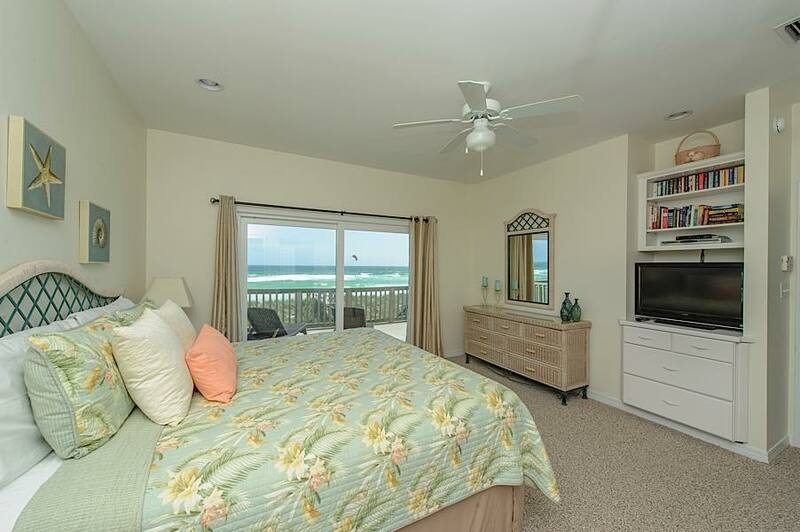 On one side of the kids rooms is a gulf front bedroom with a queen and another bedroom with 2 fulls. 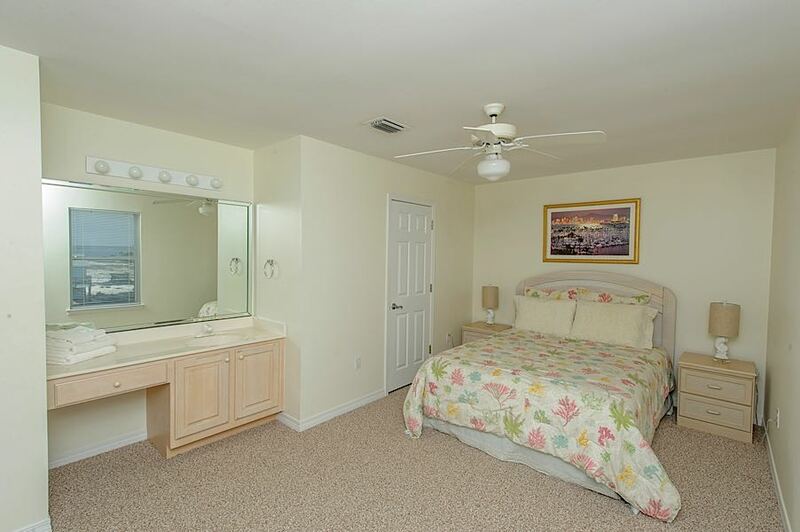 The bedrooms share a bathroom but have their own separate vanity/sinks located in the bedrooms. 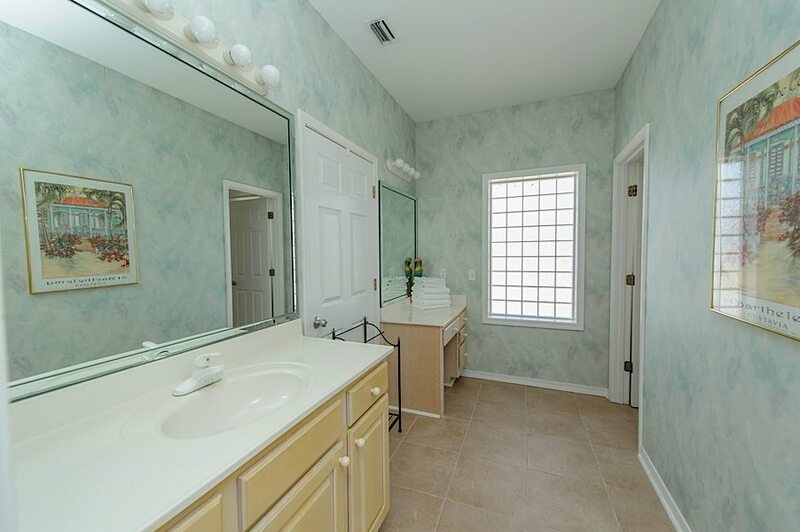 For the girls in the house, this provides a great place to put on makeup and get ready to go out. 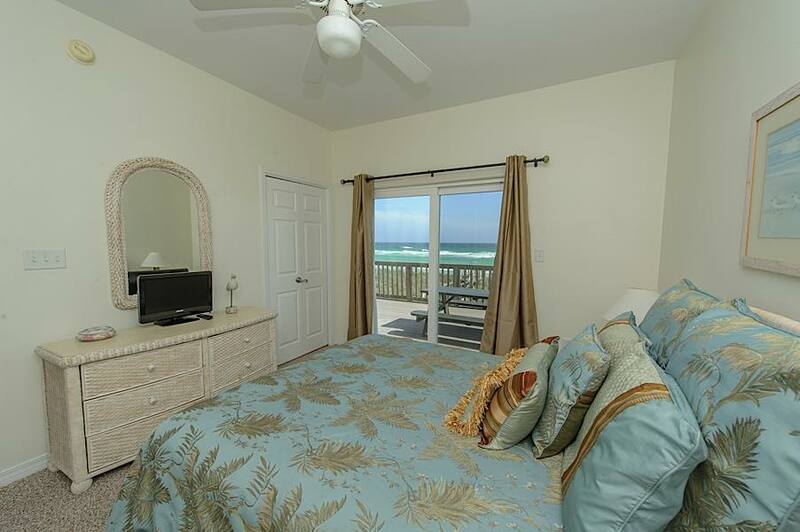 On the other side you will find a gulf front bedroom with a queen and another bedroom with a queen. 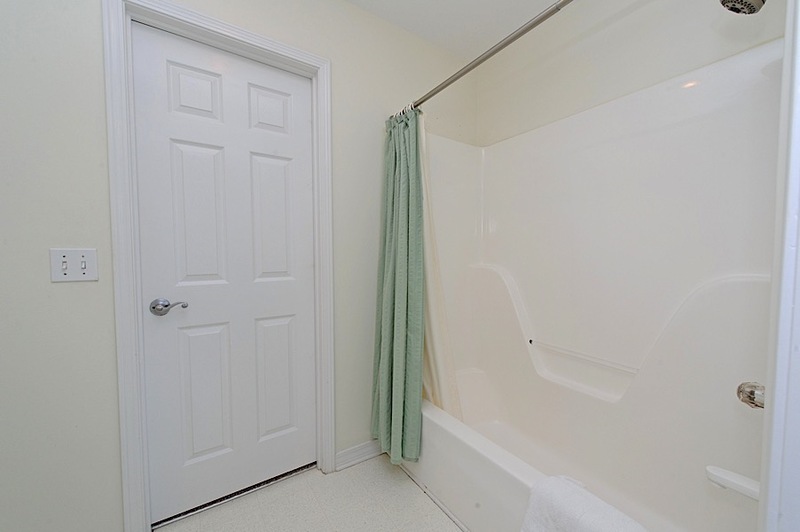 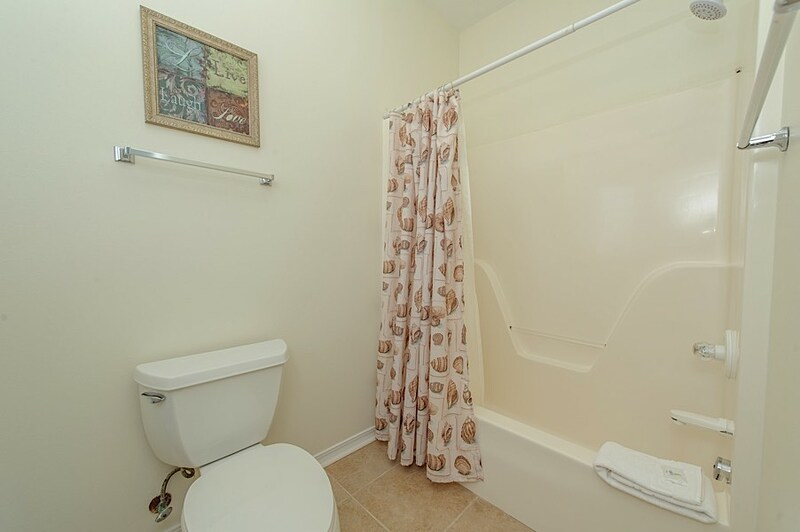 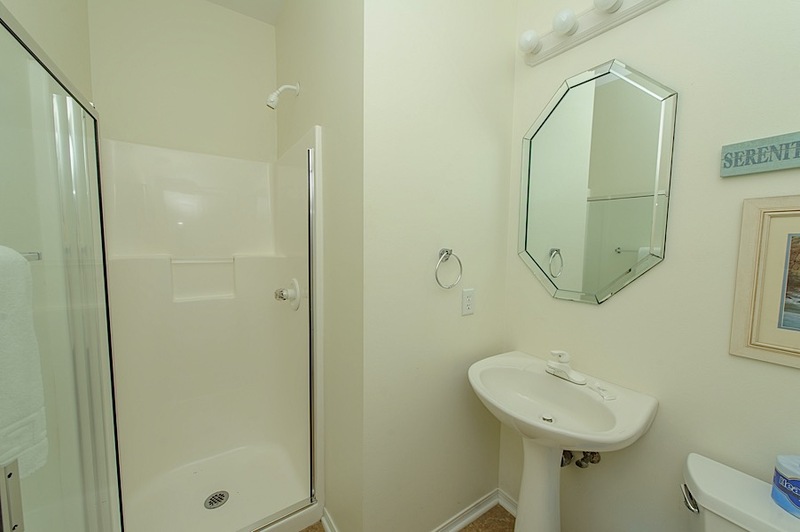 They have the same bathroom setup with a shared bath and separate vanities in the bedrooms. 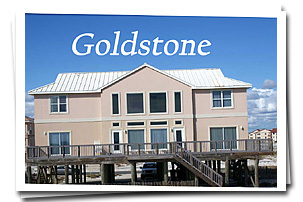 No pets, weddings or large group parties allowed. 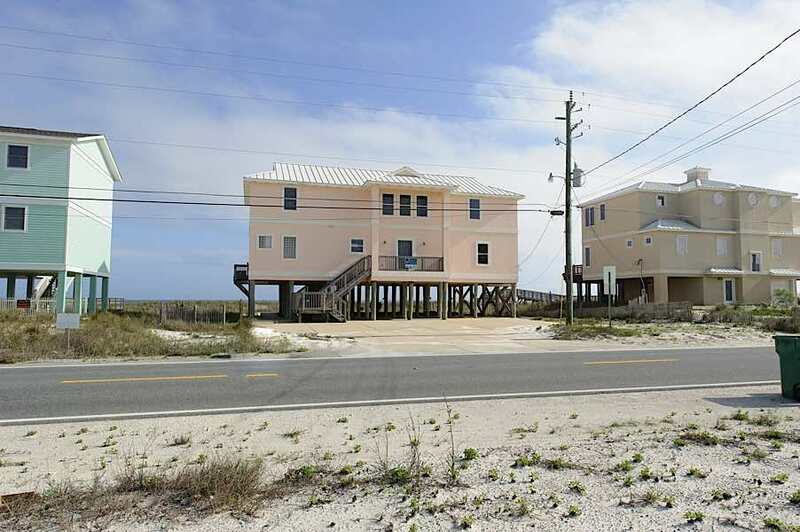 We really enjoyed this home and beach area. 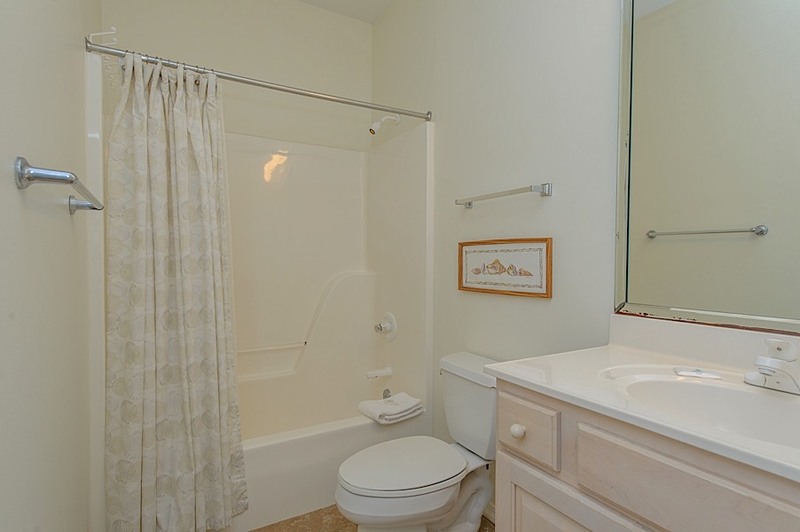 We had 13 people from small children to grandparents and we all fit this home nicely. 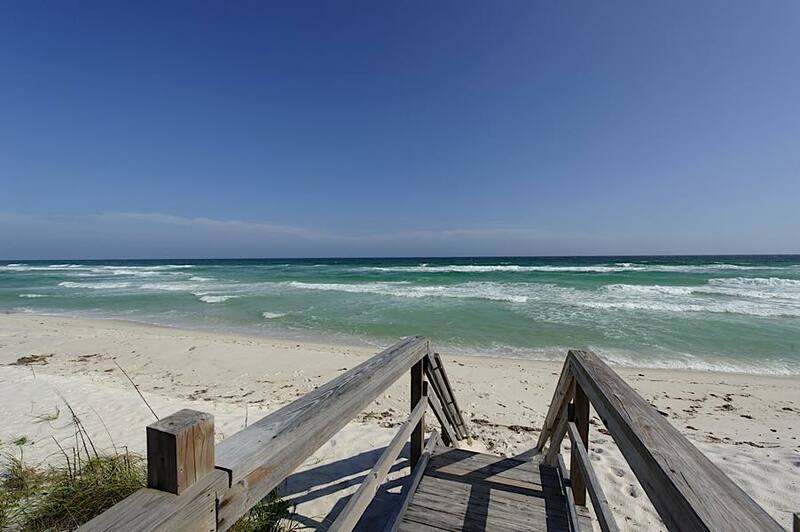 The beach is closer than the photos make it look.